Have you ever felt as though your heart skipped a beat? Maybe you were curious about your resting heart rate. So, one day, you place a hand over your chest and discover that the rhythm feels abnormal. Or perhaps you occasionally experience feelings or sensations of heart pounding and notice that it seems to stop beating for a second. If so, you could be experiencing heart palpitations or have a heart arrhythmia. Any sudden changes in your heart’s rhythm require a visit to FastMed Urgent Care. Our dedicated physicians will work to determine the cause of your irregular heartbeat, then provide proper treatment. There are two major types of irregular heartbeats: palpitations and arrhythmias. In order to determine which causes your heart to skip a beat, it is important to understand their differences. A heart palpitation is the feeling that your heart is pounding or racing, and it can be felt in your chest, throat, or neck. Palpitations are usually not serious and can be due to a variety of conditions, like stress or caffeine intake. If you experience frequent heart palpitations, speak with a medical professional. If serious conditions are ruled out, you will be able to take steps to reduce the instances of palpitation, such as lowering your caffeine intake, reducing stress and anxiety, and exercising regularly. If your heart seems to skips a beat a beat regularly, you could have an arrhythmia. 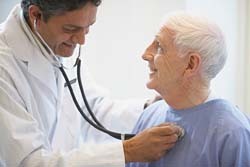 Arrhythmias are typically caused by conditions such as heart disease or an abnormal heart valve. Treatment of heart arrhythmias depends on the cause and severity. In some cases, the arrhythmia does not require treatment; in others cases, you may be prescribed medications, lifestyle changes, invasive therapies, electrical devices, or surgery. If you are worried about your heart skipping a beat, visit FastMed. We strive to provide our patients with a quick, convenient, and affordable alternative to the emergency room for non-life-threatening illnesses and injuries. If your irregular heartbeat is accompanied by a loss of alertness, chest pain, shortness of breath, unusual sweating, or dizziness, call 911 immediately.